Rumor has it that Toyota could be adding a diesel Tundra option for the 2015 line of high performance pickup trucks. As the competition for higher and higher performance with better and better efficiency continues, automakers are forced to start changing things up. How do you get more power, better towing capacity and maximize the mileage per gallon? The answer to me is simple, switch to diesel. As the owner of a Chevy 2500HD turbo diesel I am a big proponent of diesel engines. When I can tow a 10,000 pound trailer with 1000 pounds of extra junk in the truck bed and get 15mpg I am happy camper. Sometimes however having such a large truck hinders my lifestyle… when I know its going to be a pain to park downtown, I usually just opt out. Thats why I am excited to see that the major automakers are finally going to be bringing better solutions to the table. Nissan, for example recently announced their plans for a Diesel Titan and hopefully a diesel Frontier. The ultimate would be a Cummins Toyota Tacoma with a mini Allison transmission that gets 45mpg. Where is that at? Sometimes its amazing to see all the technology that we have around us which is sometimes even in modern cars, however I am never really that impressed when it comes to fuel economy. 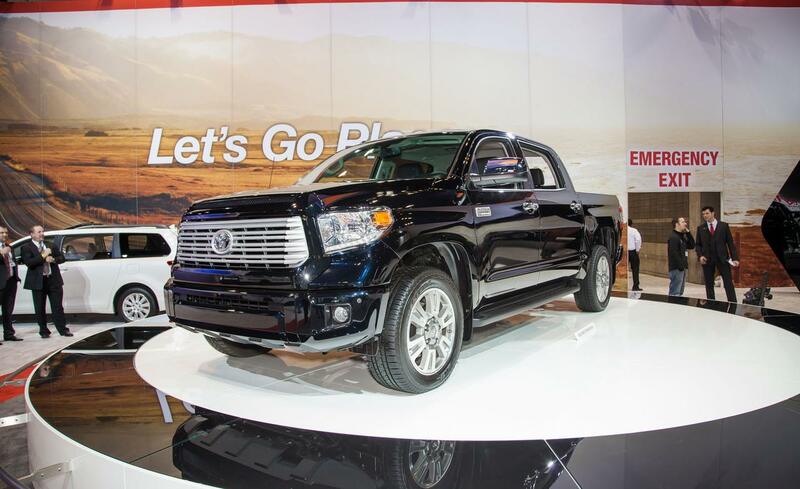 The 2013 Toyota Tundra gets 13 mpg in city driving and 18 mpg on the highway. Really? Thats the best they can do, well then switch to a damn diesel already!! Ram announced a 1500 with diesel option. GM announced plans for a Chevy Colorado Diesel, wow its about time guys! I am really excited to see what is actually released next year in terms of light duty diesel pickups! What would your ultimate diesel truck be? Post in the comments. © 2019 Copyright Baja Grove LLC.